I REALLY wanted to like this book, but unfortunately I just couldn’t! 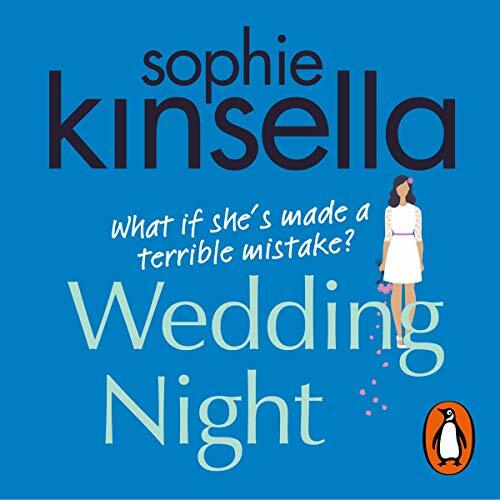 My previous reads by Sophie Kinsella have been hilarious, adoring, sweet and filled with relate-able characters. If it wasn’t because the authors name is printed right there on the cover, I wouldn’t have believed this to be her work. The characters are exhausting, unlikable, immature, narrow minded, petty, selfish and just SO manipulative. Lottie and Fliss’ relationship can only really be described as weird, at best. Lottie is like the carefree child, while Fliss has gotten (or taken) the role as the sensible provider and the grownup. At least that’s how it looks at first glance. You don’t even have to dig deep before you realise that couldn’t be further from the truth. The two heroines, are two very dysfunctional representations of Sigmund Freud’s famous id theory. While Lotti is the embodiment of the immature and desire fueled id, Fliss represent some weird, uptight and manipulative version of the ego and superego. Those personality traits still held potential for being hilarious, but the way their characteristics are displayed are really unattractive. While Lottie will cut off her nose just to spite her face, before admitting she doesn’t know what the heck she’s doing – Fliss will bulldoze over everyone and everything, that doesn’t follow her very definition of how she thinks things should be done. When readers are first introduced to Lotti, she’s at a restaurant with her boyfriend Richard. She’s sure this is leading up to him proposing to her. She’s so set on this that she doesn’t realise that she’s been making up the clues in her head. After the cringe worthy misunderstanding is straightened out, Lotti leaves him. When she moves from a serious and steady relationship with Richard, to marrying her gap-year sweetheart Ben, Fliss is hell bent of stopping them from consummating the marriage. Her reason for doing this? It could be because she wants to save her sister from a potential messy divorce later on, and without doing the deed, it is possible to get an annulment. Or it could just be because she’s an annoying control freak, who due to lack of control in her own life feels she needs to control her sister. In between ruining Lotti & Ben’s honeymoon and ranting about her soon-to-be ex husbands parenting skills, Fliss fails to even notice how lousy of a mother she is. For the majority of the book I couldn’t stop thinking, that if she just took a step back and actually thought of her kid, maybe he wouldn’t be a pathological liar. And that’s another thing that bugged me! Throughout the book Fliss’ son tells extreme lies, about having had heart surgery, being an olympic gymnast and so on. All around him grownups swoon over this little miracle, give him free sweets, ice creams etc – and what does Fliss do? Nothing! She’s too busy blackmailing the employee in charge of VIP guests, at the hotel her sister is spending her honeymoon. I’ll admit that the guy doing his best to inconvenience Ben and Lotti is quite funny, and really inventive. What I found really interesting with this character setting is, that instead of the classic setting with a hero and a heroine, there’s two heroines. The men in the story act more like secondary characters, which means that the spotlight only sparsely shines on them. As a reader I didn’t feel like I really got to know them. There was only little bit and pieces making it clear whether they were hero or jerk material. But not enough for me to really get invested and rude for any of them. Have you read this book, or any books by the author? What’s your take on two heroines in a romcom? Let’s talk in the comments!